Holiday in north or south Peak District? 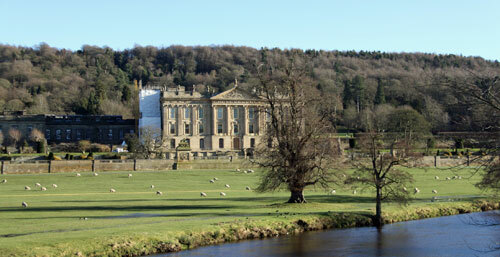 Thinking about where to rent a cottage for a self-catering break in the Peak District national park in Derbyshire? There is a distinct difference between the north and south Peak District. ; the north is much more of a wilderness with open exposed moors, lots of heather, fewer trees and the occasional lonely farmhouse. It is much less populated than the southern reaches. The southern Peak District tends to be pleasant green hills where woodlands nestle in the valleys, meadows divided by dry stone walls and gurgling brooks rush over stones. Attractive villages with predominantly stone houses are dotted about in the southern Peak District. It is the presence of pretty villages, numerous tourist attractions and towns with good facilities, there are many more holiday cottages to rent in the south and a larger number of places to visit and things to do for general tourists. There are lots of places to walk everywhere in the Peak District, north and south although the gentler landscapes of wealth of tea rooms and good facilities in the south would be have a wider appeal to people who are looking for a relaxing holiday with a few non too arduous walks and some entertainment. 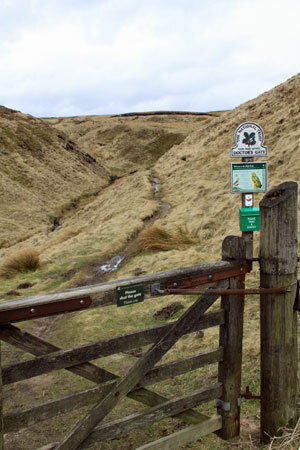 All of the Peak District is desirable to serious walkers who like to walk different routes across the peaks and dales. 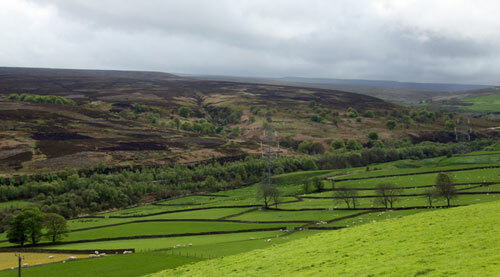 The High Peak refers to the heights of the hills on the approach from Manchester and Stockport , also Macclesfield in the West and lies midway in the Peak District national park. This is also a desolate area and frequently cut off by winter snows. To the east of it is the large town of Buxton famous for mineral water and further east is a string of popular villages in the heart of the national park. This central section between the Upper Derwent Reservoir and the villages of Edale, Bakewell and Chatsworth is where the majority of holidaymakers head for. There are virtually no villages north of the Upper Derwent Reservoir and the Howden Reservoir, just a harsh natural landscape strewn with rocks and dissected by streams. Head for the northern Peak District if you seek to escape civilisation. 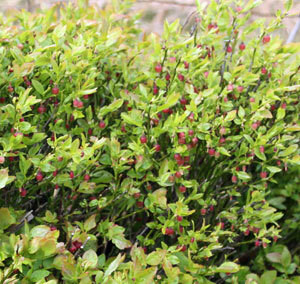 Here you will find blueberries growing by the side of the road, birds of prey scouring the moorland from above and not a tea room in sight.